Allegra Barley’s roots in music stretch down far beneath her starting with her her father, Woody. As a bassist he found it important to start his family in music early by giving Allegra her first guitar and her older sister, Angela, percussion instruments. Allegra has been singing and writing songs since her teen days at Torrey Pines High School, and during those 4 years played in a band called, Next Exit. 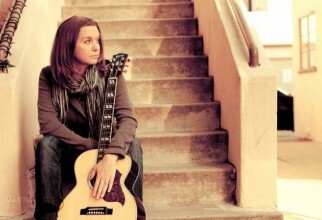 Allegra emerged on the San Diego independent music scene in 2003 with her solo album, Some Clever Invention. Later that year, feeling called to explore the music scene elsewhere, as a solo act, Allegra moved to Los Angeles and a year later east to New York City where she played and sang for over two years. Her love for San Diego and the burgeoning music scene there finally won her over and in 2007 and she returned to the place where her career had begun. Fresh off a Kickstarter venture that yielded $10,000 to fund her next album, Allegra has her sights focused in on the path to stardom that others from the 619 have forged.